Still waiting for official confirmation, however, I’ve received two credible reports that a bike rider was killed at PCH and Seal Beach Blvd in Seal Beach around 8:12 this morning from people who passed by the crash site. More information when it becomes available. However, it looks like SoCal’s killer highway has taken yet another life. 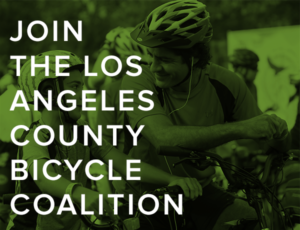 If confirmed, this will be at least the third bicycling fatality in Southern California this year, and the first I’m aware of in Orange County. Update: Still no official confirmation of the crash. However, I received the following update from Allyson Vought Friday evening. My friend was at the accident scene just after it occurred. He said the rider was on a black Kestrel road bike and sadly was face down on the roadway — unmoving. The bike had been struck from behind at speed and a vehicle’s windshield was badly damaged. This is a particularly bad intersection that Strava calls “time the light.” It’s a downhill from a bridge into Seal Beach on PCH that we riders always make speed — while watching for cars that can travel 50 mph plus through the intersection while traveling straight — or speed ahead of riders on a long right hand turn lane that takes you to the 405. Cars often interfere with the riders in making this turn and all of us have had to dodge, slow or slam on the brakes all too often here! Important to note that this is a marked bike lane as well. Solo riders are often not seen or just ignored by careless drivers in too bag a hurry. Update 2: We finally have official confirmation from the Seal Beach Police Department. However, his name has not been released, despite being well known in the community. Thanks to Nani Luculescu for the heads-up. Update 3: The Orange County Register has identified the victim as 64-year old Long Beach resident Paul Smith. I refrained from naming him over the weekend, even as his name became common knowledge, out of respect for his family until he was publicly identified. The paper reports around 150 people attended a memorial service for Smith on Sunday afternoon, on an unpaved shoulder of the roadway where he was killed. They recalled him as a loving, generous and devout man who was a friend to everyone he met. In 2016, Ed Ryder prepared a report on Southern California’s deadly coast highway through San Diego, Orange and LA Counties for this site, based on stats from the CHP’s SWITRS crash database. Thanks to Richard, John McBrearty and Jeff for the above link. My deepest sympathy and prayers for John Smith and all his loved ones. Thanks to Derek Willburn and Cleave Law for the heads-up. There are a lot of bikes and a lot of high-speed traffic at that intersection. Not good! My sincere sympathies are with the victim’s loved ones. Wow. I JUST rode through there today. So sorry for the family. Also: the Intersection at 2nd and PCH feels so scary to me. There is no separation between the bikes and cars. Yes, he was our friend and was my husband’s best man in our wedding. I’m afraid to inform everybody that the report is true. I just got a call from a close family friend confirming the news. He and his wife were very close friends of ours and we were just out to dinner with them last week. They are both people of deep, deep faith and that will carry her thru this situation but I’m personally devastated at this news. He was a fantastic human being and wonderful brother in the Lord. I’m with-holding his name as I don’t know who else has been notified yet given this just happened this morning and I don’t want to share such confidential information without his wife’s knowledge as she is a very dear friend of ours. Worst news I’ve personally received in a VERY long time. . . .be safe if you’re out riding a bike. He was a friend of ours also, and very close to my sister Paula and brother in law Robert. They are both with the family right now. We are devastated. I saw this accident this morning as well and couldn’t figure out how it happened. Does anyone have details? So devastating for all involved. Yes well said Jeff. we will all miss him. My husband a firefighter, called me crying after giving the man CPR this morning. He saw part of the accident and tried his best to revive him. Prayers go out to his family and all his friends. My heart hurts for all involved. My husband is a cyclist too and this hit him very hard. Please thank your husband and tell him the man he tried to save this morning was an absolutely stellar individual and loved by so many. Utterly devastating. I’m so very sorry for your loss. I will relay your message to him. I know he gave his all to help and was devastated that he couldn’t do more. this truly breaks my heart! I had the pleasure of knowing this hilarious, spunky, god loving man for the past 27 years of my life! All the fun memories that will forever remain in our hearts! Between the camping trips, or many angel games (you wouldn’t dare catch him anywhere else) or even just spending every Sunday afternoon after church going to lunch with him and his wife and family! He was like a second dad, a mentor and a friend! Praying for his wife and family during this hard hard time! I love you guys. Thank your husband for me for trying to save my dad. I got the call from my mom at 9:50 this morning. We heard about your husband from the doctors in the ER. I am very sorry for your loss. No one should ever have to get that call. Please let us know your dad’s name once all his loved ones have been notified so we can remember him properly. I am so very sorry for your loss words can con not express the sadness I feel for you and all involved. This may seem a little odd, but if you don’t mind, would you be able to send your contact info to [email protected]? I understand if you would rather not, but I mentioned your comment to my mom, and I believe she may want way to thank your husband at some point. K. Smith, I’m so sorry for your senseless loss. Your father was well loved by many. Your husband is amazing i was there this morning and tried and tried…..
Peace 2 him 4 an amazing effort! Thank you for helping this morning! He was my husbands Best Friend! Thank you! I was there and watched your husband race to the scene an administer CPR. I had arrived at the intersection on my drive to work just after it happened at about the same time your husband arrived. Your husband was so distraught that he couldn’t help revive him. I felt so badly for this man, and I wish all of the family members here on this chain strength in this difficult time. It sounds like he was a wonderful person, husband, father and friend. My heart goes out to all of you. Yeah my husband called me at work balling his eyes out. He is very good at his job and I feel so bad he was not able to save this man. I feel so bad for his family and friends. Praying for all involved. such news hurts my heart as I immediately think of the family! I’m a casual cyclist and I often see the disregard for human life as I ride by many drivers. Let this be a concrete reminder to all of us to slow down and put your phones on “Do Not” disturb whenever possible. Prayers to the family and friends of what sounds like a pretty great human being..God Bless! Why do you automatically assume it’s the drivers fault? I’ve seen many cyclist in the way of cars and close calls. Everyone needs to be more careful and aware. Both motorists and cyclists. Any death is tragic. Praying for this lovely family. Why assume that it’s the driver’s fault? Maybe because the report is that the cyclist was rear-ended at a high rate of speed? Maybe because he’s a very experienced cyclist riding at 8 am on a route he’s ridden hundreds of times.. Maybe because cyclists rarely text–especially frequent cyclists. Maybe because most riders on this blog have been cut off repeatedly by drivers who don’t even see them. But the driver was responsible enough to stop and do what he or she could. It was 8 am, so odds are the driver wasn’t under the influence. Probably just in a hurry. Maybe checking a text. Or GPS. Or tuning the radio. Or telling a kid to settle down. Or putting the coffee back in the cup holder. The driver needs our prayers and thoughts as well. And there are certainly others at fault as well. That portion of PCH is the ONLY way fo a cyclist to get from Seal Beach to Sunset Beach south of Westminster.Blvd. The cyclist’s only protection is a painted line. OCTA likes to boast about the “OC Loop,” and this is the only way to complete this portion of the loop. It’s on state highway 1. A few thousand dollars of green pylons would make this safer for everyone, but that’s not in OCTA’s budget. It’s not in Cal;Trans’ budget. It’s not in Seal Beach’s budget. Everyone reading this should do what they can to lobby Seal Beach, OCTA, and Cal Trans to do something to make this intersection safe. We lost a wonderful man on Friday, I lost a great friend of 30 years, the family lost a dad and husband. Let’s make the persistent effort needed to make sure this will be the last ghost bike at the intersection of PCH and Seal Beach Blvd. Here, here. I was at the scene and as I noted in a previous comment. I spoke to a witness to the collision, who was waiting to be interviewed by the officer on the scene. He said he was heading north on pch and the driver sped past him (well over the speed limit) coming over the hill toward Seal Beach blvd just prior to the collision. Prayers to everyone…you, your friend’s family and friends, and to the driver involved. He was visibly shaken and in a state of panic. Well stated. I was thinking the same thing. I agree with your statement, “The driver needs our prayers and thoughts as well”. I was there about 15 seconds after it happened, it’s a very sad tragedy for all. My friend and I were praying for everyone affected. So many people making assumptions and accusations. I hold the OCTA primarily at fault. 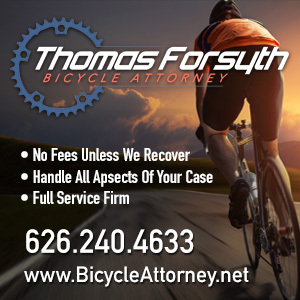 The families of the bicyclist need our prayers as well as the motorist. I am so sorry for all who have commented, especially those who knew and loved him. It breaks my heart every time I have to write about something like this. I wish you all comfort and peace in your loss. So very sorry for your loss – I rode by there this morning after it happened and the police were conducting their investigation. 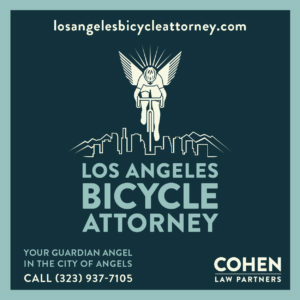 I’ve been wondering who was involved and hoping we could somehow honor him in some way and bring awareness to others about the problem many of us face on the road as cyclists. I was at the scene when the accident happened and CPR was rendered by 4 of us before EMS arrived- We all knew what to do and did our best, but we know the tragic outcome all too often when it’s bike versus auto. I ride my bike on that route most weekends and have had several close calls at that intersection. I’m very sad for my fellow rider and for his family and friends. Talk about him a lot… it hurts but it helps too. Peace. My sympathies to the family, friends, and the people that where giving CPR! I’ve ridden alot in Long Beach! Im really sad. I pray for Gods comfort to all that are directlly and indirectlly affected by this tragic event! We offer up our prayers for the family and friends of the victim. I have ridden in the area for decades until I retired a couple of years ago. cycling because it is just too dangerous. Drivers distracted by digital devices, running red lights, cars coming so close often drifting into the bike lanes. I’m saddened that what I loved to do (riding my bike) has been taken away from me. digital devices (cell phones on persons or hidden under the car seat, or any compartments) noted in the report. Prayer candle lit for victim and family. Our hearts are broken in the loss of our dear friend. He has had a powerful impact on our entire family. His wife is a close friend of mine. They have a wonderful family and many dear friends. Prayers are appreciated. My heartfelt thanks to the courageous people who stopped to render aid and to comfort and assist my precious friend as she came upon the scene. May our Lord bless you and heal your hearts, as well. Our Deep sorrow over this wonderful friend, just praying for peace, comfort, healing. We’ve known this family for 37 years. Such an impact on all who knew them. May Gods peace be with you. I am very curious to hear how this investigation pans out. A man who was driving his car behind the accident, told me at the scene that he saw it all occur in front of him. He says the man driving the vehicle that struck the cyclist had sped by him on PCH several hundred feet in front of where the collision occurs. He believed the vehicle was speeding. I drive that route every day to and from work, and I know that coming down that hill toward that green light at Seal Beach blvd., a lot of cars are well over the posted speed. The driver of the car in the collision was visibly shaken. I can only imagine what he was feeling at the time. There was a prayer vigil for Paul last night near the spot where the accident took place with about 150 folks joining the family. I’ve attached a related article (link) from the OC Register that provides a bit more info on Paul and why this is such a tremendous loss for his family, church and community. He was one of those guys that nobody will soon forget and for all the right reasons. It was a very tough weekend for everybody involved but his family/friends are all very much in agreement that Paul fulfilled his earthly purpose/mission as well as just about anybody that we’ve all known. Paul was one of those rare individuals that was a role model for just about everybody that he came into contact with because of the way that he (unconditionally) loved and treated others. . .along with a quick wit and slightly off center sense of humor that endeared him to everybody he came into contact with. One of those people that simply can’t be easily replaced in our lives. I was incredibly lucky and privileged to call him (and his beautiful wife) my friend for 35 years. 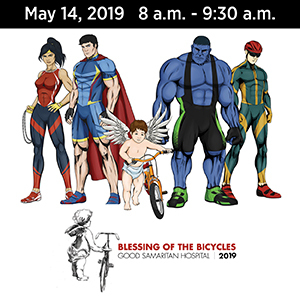 Blessings to all. . .and please ride safely! There was a prayer vigil for Paul last night near the spot where the accident took place with about 150 folks joining the family. I’ve attached a related article (link) from the OC Register that provides a bit more info on Paul and why this is such a tremendous loss for his family, church and community. He was one of those guys that nobody will soon forget and for all the right reasons. It was a very tough weekend for everybody involved but his family/friends are all very much in agreement that Paul fulfilled his earthly purpose/mission as well as just about anybody that we’ve all known. Paul was one of those rare individuals that was a role model for just about everybody that he came into contact with because of the way that he (unconditionally) loved and treated others. . .along with a quick wit and slightly off center sense of humor that endeared him to everybody he came into contact with. One of those people that simply can’t be easily replaced in our lives. I was incredibly lucky and privileged to call him (and his beautiful wife) my friend for 35 years. Blessings to all. . . Thanks Jeff. I’ve added a link to that story to this piece, along with some stats on the dangers of PCH. I was driving work when i saw the ambulance and a lot police, i take a short video for show to my husband the traffic, but when i saw giving RCP to the person my heart broke. A lot ppl stop to support Paul that morning. I cry all the way to work y pray for him and everyday i pray for him when i see the white bicycle in the corner in PCH. Rest in peace Paul. I’m going to leave flowers soon in your bicycle!